My wife and I try to make books and book time valuable in our home. Reading is something you get to do after you do the things you have to do. So that means a lot of reading with mom and dad. Or at least we attempt. In no particular order, here are some of my favorite books for our family in 2016. These weren't school books or books. Contrary to the blog title, these books may not have been written in 2016. These were just some of the books I enjoyed reading to my children last year. Did they enjoy them? I think so, but you'd have to ask them. 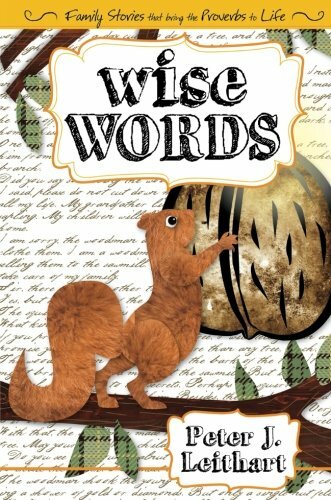 Wise Words by Peter Leithart is a book of short stories that bring Proverbs to life. Each story is captivating and well-written. The moral of each proverb/story comes through without seeming forced. I originally hoped this would be a mealtime book. Fail. The stories are too long for that. 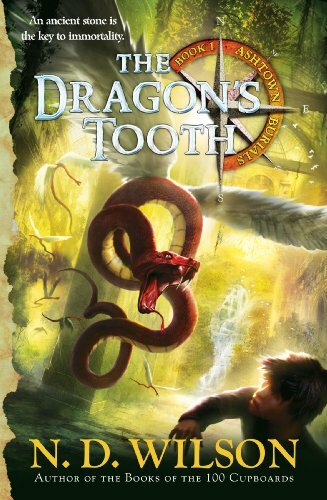 Over several months (and with too many breaks) I read my son N.D. Wilson's book The Dragon's Tooth. It's the first in his Ashtown Burials series. Like many of Wilson's books, this book is too peculiar to try to summarize here. But if you like are looking for a modern-day fantastical novel, my son and I both recommend it. It's intense, supernatural, and even ties in some history. I love how combines world history and fantasy into the story of a brother and sister in Wisconsin. Warning: Wilson's story-telling is not for the faint of heart. I collect signed books. 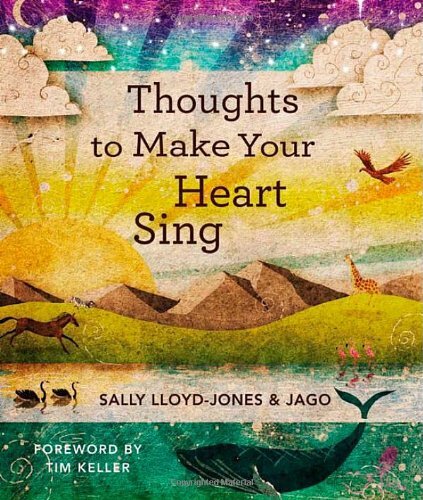 A few years ago (and two less children) my wife and I stood in line to have Sally Lloyd-Jones sign our newly purchased copy of Thoughts to Make Your Heart Sing. When our turn came she asked who the book was for. We told her our (then three) children's names. "Oh, those sound like movie star names," she said in her lovely British accent. That has nothing to do with the book except to say we love our copy even more. The book is a collection of very short reflections on God's love, prayer, grace, etc. I marvel at Sally's ability to say so much so beautifully in so few words. Finding a chapter book that holds my daughters' attention is difficult. 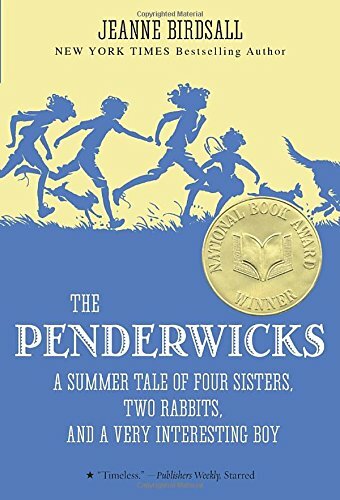 I gladly took the recommendation of another dad of daughters and picked up the The Penderwicks: A Summer Tale of Four Sisters, Two Rabbits, and a Very Interesting Boy. There isn't any great plot to follow or morals to learn. I'll remember this book as the first book that captured my daughters attention and had them asking for more. 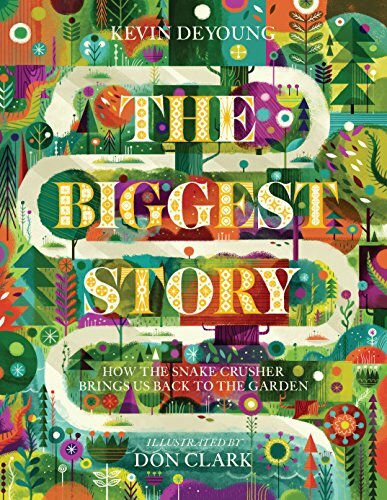 Of course, Kevin DeYoung's The Biggest Story: How the Snake Crusher Brings us Back to the Garden (2015) was delightful. The artwork is stunning. The pace of the book is just right. The biblical content engaged the broad age-range of my children. I remember one of my seminary professors commenting on the need for the church to return to grounding itself in the basics. Books and publications, rightfully so, can become so specialized or nuanced over time that the forest is lost for the trees. Over time we can lose our rootedness to the most basic truths of Scripture. I'm thankful for good books like this one that tell the large story of Scripture. You should also check out the animated version of the book!